Terry and Denise also host Eco Wildlife Tours, check out their website: http://faunus.co.uk/ Not only they work with these things, but they truly and honestly dedicate their whole life for the nature and animals. Have to say, the world needs these people. As we drove down here, we passed probably the most mysterious and interesting area in France; Languedoc. That is where Catharism, Secret Orders, Knights and werewolves took place. We walked in Carcassonne, where the history never dies. The castle and the city itself has been kept in such great shape (for all the tourists 🙂 ). 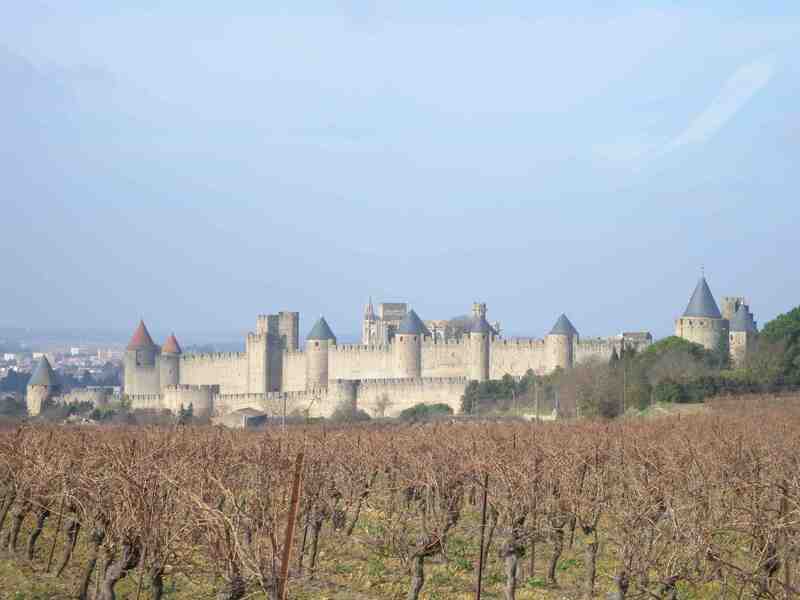 From far away ,Carcassonne looks like some kind of Fairy tale! We are working in the woods and the boys have been cutting big trees down for two days now. Of course I wanted to show the women’s strength and I managed to cut one tree down! Yai! Manu was sick for couple of days but with the help of lemon and ginger he finally got better. Long live nature medicines! We are working on the Week 12 song + video which will be up during the weekend, so stay tuned! Until then, be safe and enjoy the days as they would be the most precious ones youll have.